Strokes occur over 750,000 times annually in America, with CDC statistics saying 130,000 deaths are caused by strokes annually. Luckily, anyone can incorporate an anti-stroke diet to lessen the chance of having a stroke. Some researchers with the Karolinska Institute in Sweden conducted a meta-analysis review of several potassium studies and found that higher intakes of potassium was associated with reducing the risk of strokes. 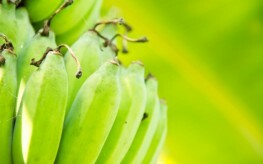 The researchers suspected that potassium is an important factor in preventing stroke. Their analysis concluded that for every 1000 mg of potassium, stroke risk is reduced by 11%. This meta-analysis was reported in the July 2011 Journal Stroke and also reported in the British journal Lancet. The same journal reports also mentioned increasing potassium levels to lower blood pressure. This seems to have been known for some time, but when is the last time a doctor told you or anyone else with high blood pressure to increase potassium intake, as opposed to prescribing medication? Potassium is a vital electrolyte, important for electrical conductivity within our nervous system and for muscle function and formation. The heart is a muscle as well. So potassium’s influence of both electrical nerve impulses and muscle strength apply to heart health considerably. It’s estimated that people with high potassium blood levels have half the risk for heart attacks than those with “normal” levels of potassium. Mostly located within our cells, potassium is the third most prevalent mineral in our bodies, exceeding sodium. Though potassium interacts with sodium for the above functions. It also uses sodium to balance our water levels and it assist our body’s pH buffering system to maintain a healthy slightly alkaline balance. This is critical to immunity and overall health. Potassium helps dissolve excess calcium, preventing kidney stone formations and calcified tissues. Excess potassium is usually easily eliminated by the kidneys. Extreme potassium deficiency causes death, and too much is a problem as well. Extreme potassium deficiency is known as hypokalemia. It’s rare, usually caused by extreme diarrhea and vomiting or fatigue from intense exercise without sufficient fluid intake. Constipation due to intestinal paralysis. Supplementation usually handles moderate hypokalemia, though extreme hypokalemia can result in death from heart failure. “Everyone knows” bananas are a good source of potassium. But a cup of Lima beans or a single serving of cantaloupe offers twice as much potassium as a banana. Fresh orange juice and potatoes contain twice as much potassium as well. Even fresh cold water salmon, almonds, tomatoes, and milk contain more potassium than bananas, though not twice as much. All of these foods should be should be organic, and raw milk is much better than pasteurized milk. Potassium doesn’t get much attention, but it should always have yours. Another great potassium resource is coconut water! Have you ever asked, why did they start pasteurizing milk? They answer is because people got sick with some frequency from drinking raw milk. Below are some myths and facts about this. Myth: “They” started cooking milk, because people were getting sick. Fact: They started cooking milk, because it adds to the shelf life, adding profits to agri business. Worthy info, thanks as always Paul! It’s always good to have these bits of info to stay healthy.